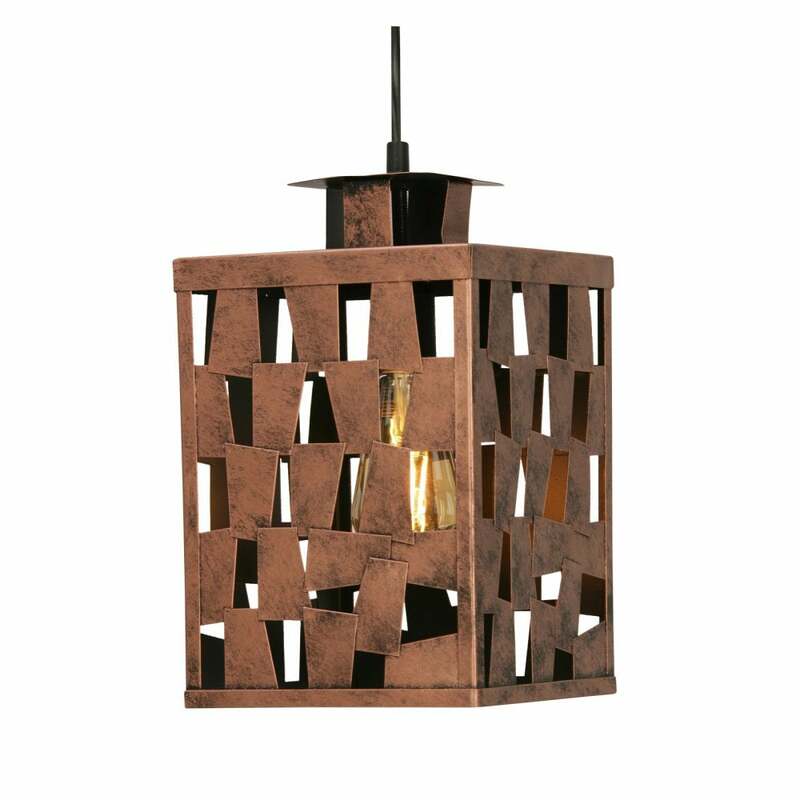 Oaks Lighting Reka single light ceiling pendant features a ceiling plate with black cable holding square shaped copper metal shade with decorative cut out design. This product code is 1655 CU. The decorative cut out design on the metal shade will create an interesting light display when illuminated and is a perfect choice for both modern or contemporary decors within your home.